7 years ago TODAY – I released my first eBook – How to Get Started in Art Licensing. I never dreamt that project would turn into the library of eBooks, audios, blog posts and classes that it is today! I’m honored to have met so many amazing people in this industry as a result of Art Licensing Info. I’m honored to have been able to help artists understand what art licensing is about. My goal has always been to help artists really understand the day-to-day work and to uplevel the business acumen of artists in the industry as a whole. Today I’m both excited and a bit nostalgic… I’ve decided to turn the reigns over to John & Melissa of ideaologie. After a lot of thought and discussion – it made sense to all of us for them to take the reins and continue on with the Art Licensing Info brand. They have amazing backgrounds and years of expertise in retail, with licensees, representing artists and working with big brand artists – Mary Engelbreit and Kathy Davis sound familiar?? I believe they will be able to take what I created and bring it to a whole new level for all of us. So what will I be doing moving forward? I will still be creating art and licensing it – I’m not leaving the industry, just the teaching side of things. I’ve been working with John & Melissa over the past few months and realized I wanted to write, teach and create on a different path. I also realized there was no way I could add it to everything else I’ve been doing – something had to give. I’ve been through some stuff… just like you. There are two events in my life that stand out as “forks in the road”. Things that could have left me angry and full of excuses or made me pull myself up by my bootstraps and figure out how to move forward and find my happy again. My divorce – a fork in the road that almost turned me away from art licensing before I’d gotten started. Most recently, coming to terms with my father’s decline into Alzheimer’s and everything that entails has really tested my skills at remaining present and finding the happy in every day. It’s something I’ve been sharing personally with others but now want to do it a bigger way. I’m working on a book proposal (anyone connected with publishers? Would love a referral!) as well as some speaking topics and other things to come. This is a huge PIVOT for me – to shift from something I’ve been doing for 7 years and jumping into something new and unproven is a big leap of faith. But that’s what life is about – listening to your gut, evaluating your options and then going for it. Following what excites you, makes you leap out of bed in the morning and brings a smile to your face. So after more than 1,125 posts I say again – here’s to your creative success! Congratulations, Tara. Enjoy your new endeavors! Shifting gears a bit can be so wonderful! Good luck!! It will be fantastic! Congratulations to you, Tara. Best of luck in your new venture. I’m sure we’ll be seeing you around on Facebook. Congratulations and thank you, Tara! You have been such an inspiration to me. I wish you all the happiness you deserve! Congratulations Tara! 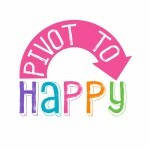 You are not only pivoting, but soon you will be soaring into your dream! Tara, wish you the best! Those bumps in the road can be tough but hope you are happy in all your future endeavors… And in your life! Congratulations Tara! You have helped so many people along the way, including myself and many of my friends. Thank you for all you have done for the licensing community and best of luck on your new adventure! Congratulations! I applaud you for “pulling up your bootstraps” and moving in a positive light. I also applaud you for sharing such a personal life change in a public way. After recently doing the same, I understand how difficult that can be. I have followed you for years, and really gained so much from your Art Licensing book. It helped me decide what I wanted and didn’t want in my business goals. Thank you for being so generous with your knowledge! That’s what we are all here for — to share, learn and grow with each other. 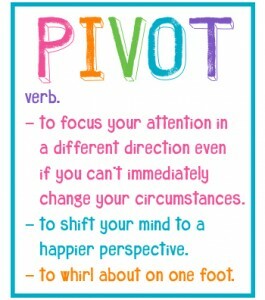 I look forward to following your new PIVOT! Tara, all the very best on your new venture. I am happy to connect you with my literary agent. I will pm you with the info. Thank you everyone! It’s a big shift but feels right and like it was meant to be as far as timing for me and for John & Melissa at ideaologie! Thank you for everything you have shared with us Tara. Your insight and wacky sense of humour have been awesome. Good luck with your new direction, I will follow you. Thanks for your past emails, blogs and education over the years on this website. I will miss you. Good luck and God Bless! You (and the Ask Calls) have been a stabilizing foundation for my entry into the art licensing industry over the past couple of years. You are a purveyor of much wisdom. I have a lot of respect for you and your tenacity. You are also a GSD (Get S#%t Done) kind of person. These types are not easy people to find, and are incredible people to work with. All the best to you and your dreams. Hope everything goes very well for you. Thank you for all your happy energy and information over the years. God bless you and your father.